All speakers and VIP guests are eligible for free registration and Friday night hotel. Additional fee may apply for accompanying family members. 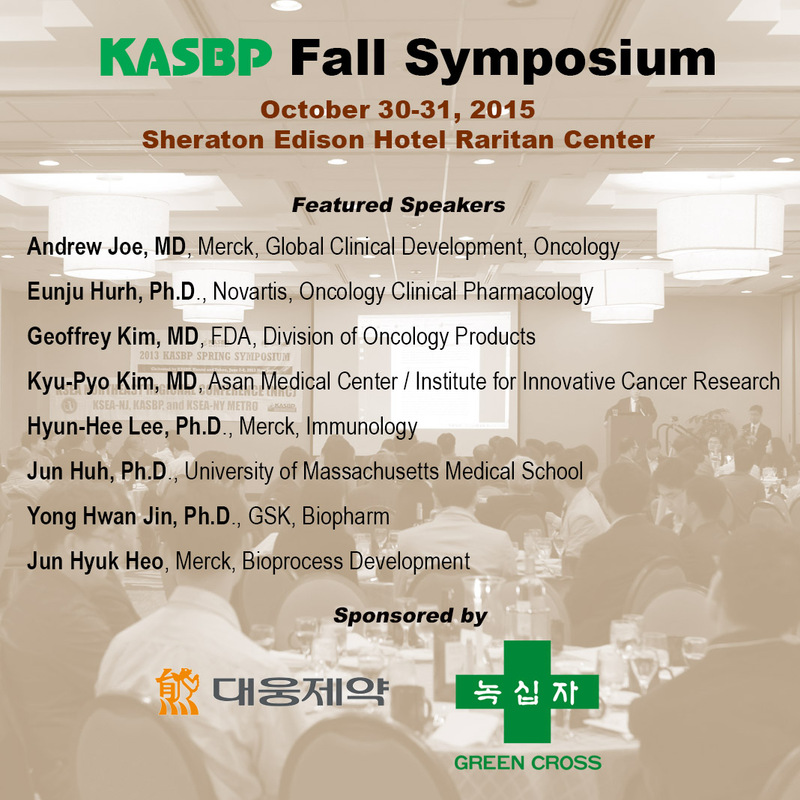 All members and friends are cordially invited to 2015 Fall Symposium hosted by KASBP and sponsored by Daewoong and Green Cross.